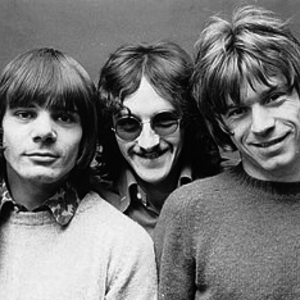 Love Sculpture was a British blues-rock band of the late 1960s, led by Dave Edmunds, plus bassist John Williams (born John David Williams, 19 January 1946, in Cardiff, Wales) and drummer Rob 'Congo' Jones (born Robert Jones, 13 August 1946, in Barry, South Wales). They formed in Cardiff in 1966, and disbanded in 1970, although Edmunds went on to enjoy solo success in the 1970s. They are best known for their 1968 novelty hit, a cover version of the classical piece "Sabre Dance", by Aram Khachaturian. Other songs included: "Land of the Few", "Summertime" and "You Can't Catch Me". Love Sculpture was notable primarily because of Edmunds' subsequent success. The band itself was essentially a showpiece for Edmunds' considerable technical ability on the guitar. Love Sculpture mostly performed blues standards, slightly revved-up, but still largely reverent to the originals. Love Sculpture split up after recording two albums. Edmunds went on to number one hit success with "I Hear You Knocking", and collaborated heavily with ex-Brinsley Schwarz bassist Nick Lowe, eventually forming the band Rockpile with him.